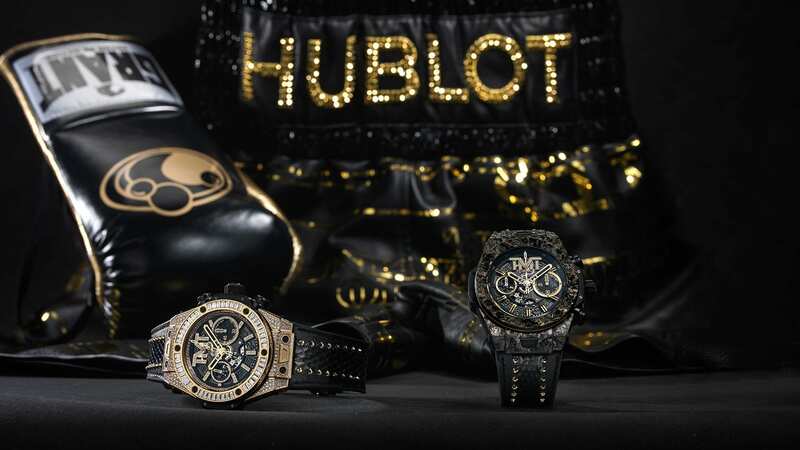 “Everyone knows I’m crazy about mechanical beauties, especially sparkling watches. 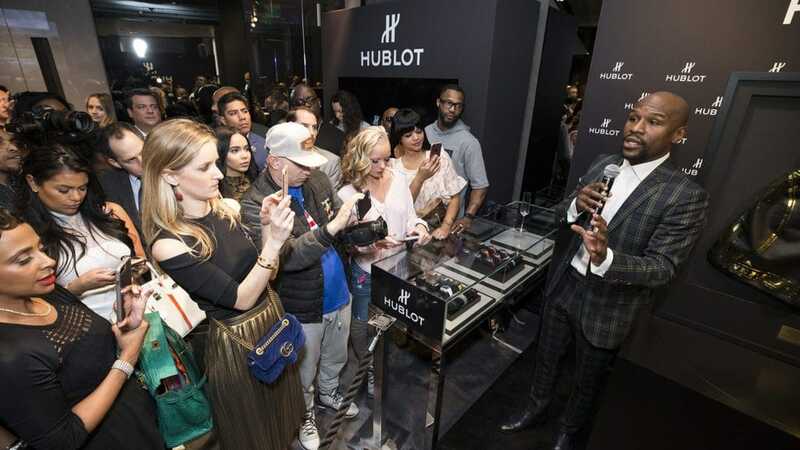 So I’m truly proud to see the letters TMT x Hublot glittering on top of my watch. 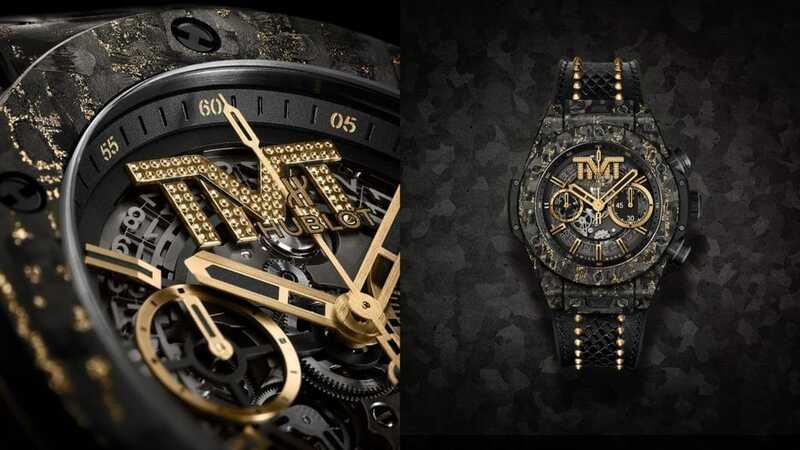 This timepiece means a lot to me, it symbolizes my career, my unbeaten 50-0 record and my last fight when I made history!” . 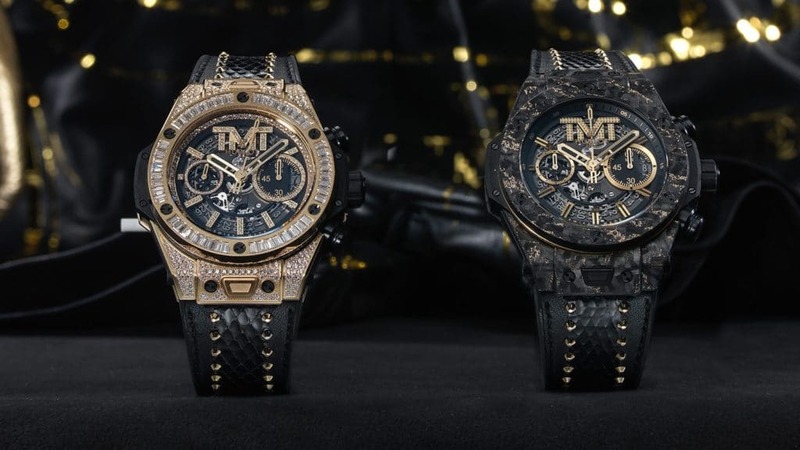 Hublot x Mayweather; the story of this “knockout” partnership began in 2015 at “The Fight of the Century” pitting Floyd against Manny Pacquiao. 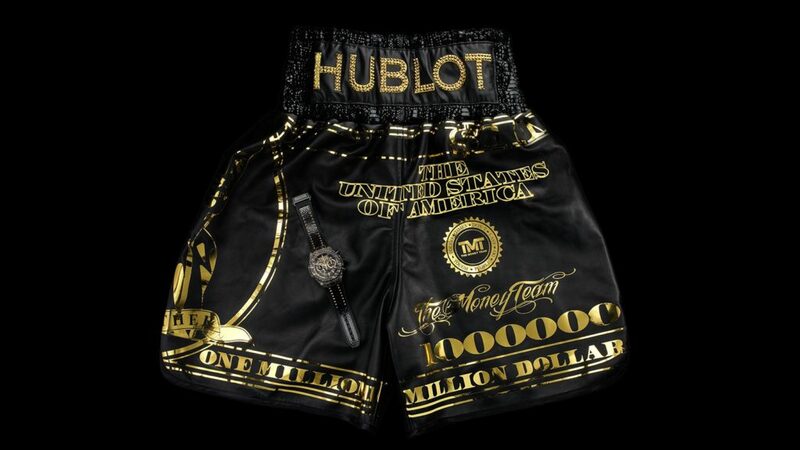 For the first time, Money sported the name of the brand on his boxing shorts. 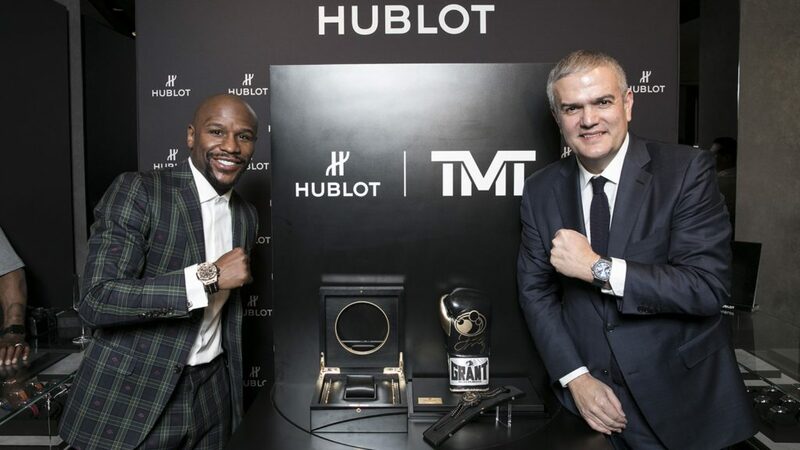 In 2017, for “The Money Fight” against Conor McGregor, Mayweather wore Hublot on his belt once again. 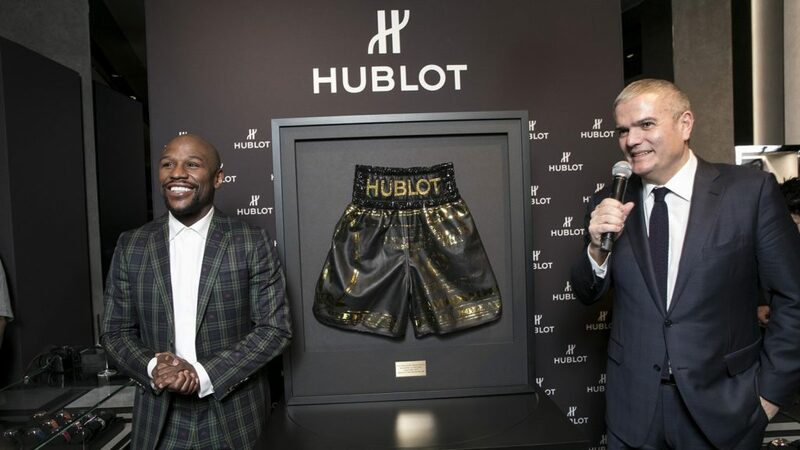 These shorts have become the emblem of the legend of legends, sealing his 50th straight win! 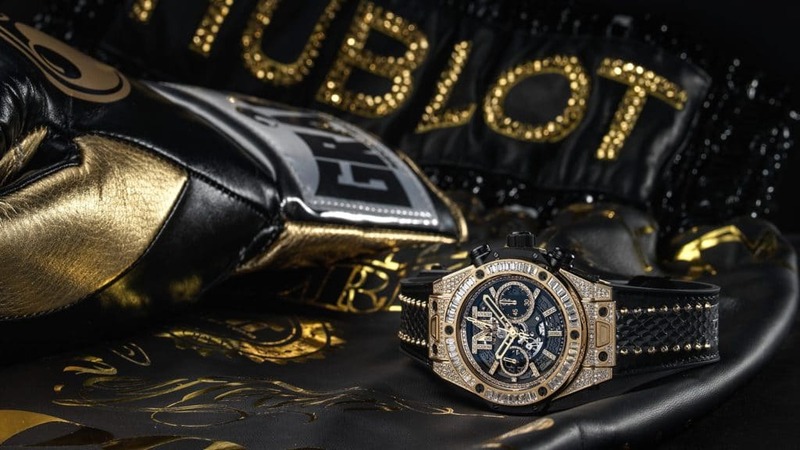 Shorts that naturally became the focus of the design of the Big Bang Unico TMT, Hublot have even used the setting where the fight took place to unveil its two limited editions.